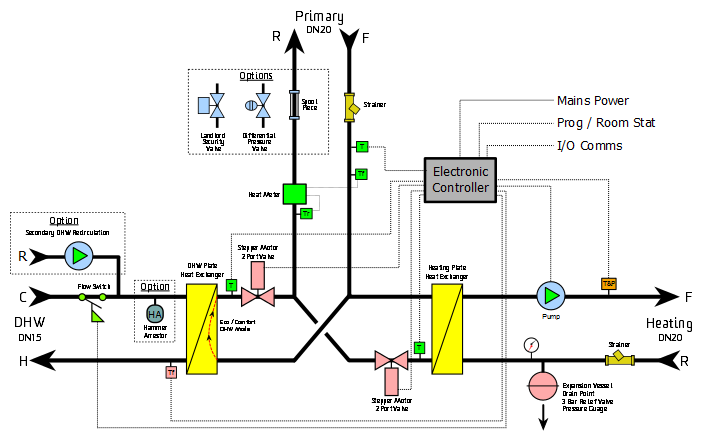 The DATA is our standard twin plate Heat Interface Unit, quite simply the best HIU ever made. 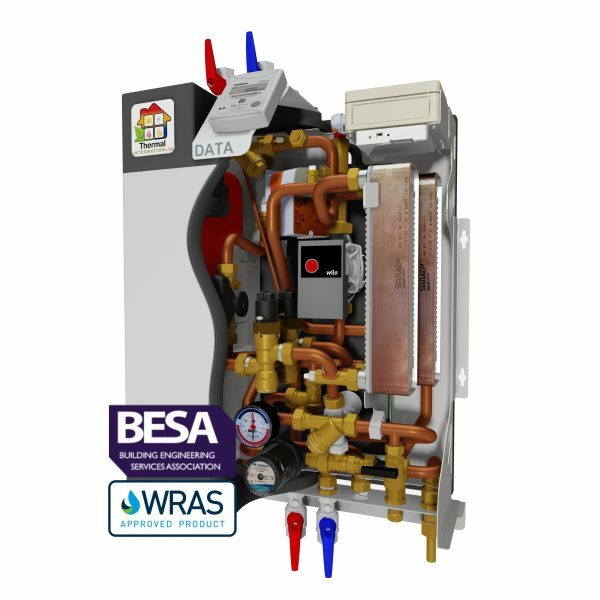 It is one of a handful of HIU’s now independently tested to the new BESA UK HIU standards, and has demonstrated beyond doubt to offer greater efficiencies than any other system. How we managed to obtain the Industries best efficiency results is not magic, nor is it a misrepresentation of the facts, or just theory. This is the result of using modern methods of control and by applying an advanced trickle-flow functionality. The unit is fitted with an attractive insulating EPP case, with overall dimension of 490mm (W) x 640mm (H) x 271mm (D) which allow it to be fitted into very tight spaces such as kitchen cupboards.